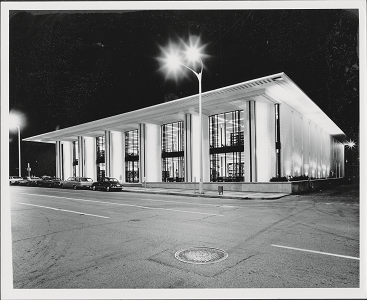 Share your memories of The Library through an oral history! Do you remember your first experiences at The Library? What are your favorite memories of The Library? This project commemorates the Main Library's 50th Anniversary. 1968 marks the completion of the E.D. Stone Library, the downtown library branch, which is notable for its Mid-century modern style of architecture. Anyone interested in sharing their memories is welcome to participate in this oral history project. Register to sign-up to schedule an oral history with Kathryn Kuntz, the Richardson-Sloane Special Collections Supervisor, who will assist you in selecting a time on the day you select to do the inteview.